In the article, “Toys R Us’s baby problem is everybody’s baby problem,” on washingtonpost.com, the company claims that its income was linked to birthrates. The fewer children being born meant less revenue. The answer? We need to “encourage larger families or immigration,” to make our population “crawl upward.” Success not just for toy companies but all companies depend on continued population growth. 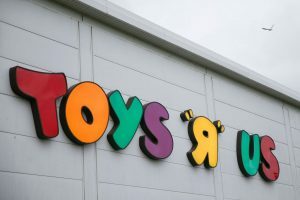 The video with Townsend also makes the larger observation that Toys “R” Us reflects but one example of high yield debt on retailers in general these days. Other companies face the same problem; just two examples include Claire’s Accessories, which recently also filed for bankruptcy and Sears, which is expected to as well this year. More than the claim that there are not enough babies and children, the story of Toys “R” Us reveals more about the evolution of the retail industry in the digital shopping age, and companies that survive in it – and those that don’t. The company reports that “revenue changes appear correlated with births in its target demographic.” Correlation does not mean causation. And it is easier to look outside itself at demographics than the ways it failed as a business at keeping up with being a retailer in today’s business world. Focusing on births also reflects a mentality that needs a harder look. It points toward what Dave Gardner of World Population Balance calls our “growth-addicted society”, one in which consumers serve as cogs in the economic machine. It’s a mentality that influences business practice and strategy to promote pronatalism and population growth. It has a never-ending need for more consumers to keep the economic engine running and growing. Instead of spinning it as “Toys R Us’s baby problem is everybody’s baby problem,” the “everybody’s problem” involves the many negative effects of so many humans coming into the world every second, every day, every week. And even if you buy the birthrate explanation, if Toys “R” Us can’t make it with this kind of population growth, maybe that speaks for itself.